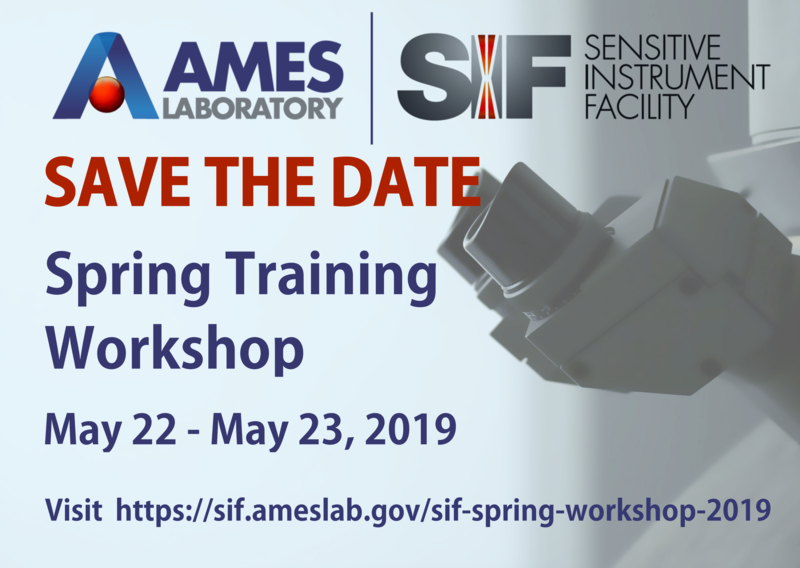 In collaboration with FEI, Ames Laboratory's Sensitive Instrument Facility will host a two-day Spring Training Workshop May 22-23, 2019. Join us Wednesday morning, May 22, for a series of talks about the state of the art and most recent developments in the field. Interested new users can register for instrument demonstrations Wednesday afternoons. On May 23, advanced users can register for a morning of in-depth instrument lectures and demos. Check back the end of April for open registration!